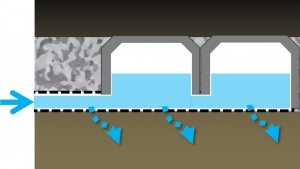 As their name suggests infiltration chambers work exclusively to infiltrate stormwaterSurface runoff from at-grade surfaces, resulting from rain or snowmelt events.. They are an underground facility and are often used beneath parking lots or playing fields to treat flow routed from other areas. 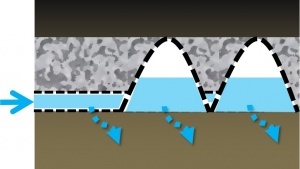 Layers of coarse aggregate to bed the chambers and redistribute water. Manufacturer Contech "Contech Stormtrap Rotondo" "Contech Stormchamber Cultech" "Ecorain Atlantis Stormtank"
Plastic modules usually have a parabolic shape to resist the load above. The spaces between the rows of the gallery are then filled with more clear stone to support the overlying infrastructure. 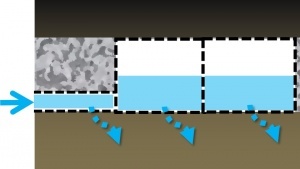 Concrete modules are often box shaped and can, in some circumstances, be employed without any additional cover. 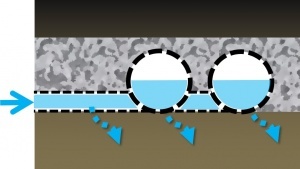 However, a minimum of 20 cm cover is for most applications. 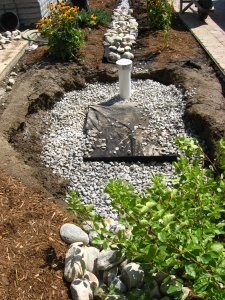 Where this cover is (irrigated) topsoil this can support turf grass. Deeper soil is required to support more complex plants. 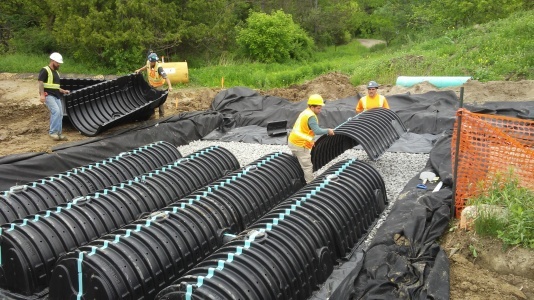 CSA B184 SERIES-11 (R2015) "Polymeric subsurface stormwater management structures". 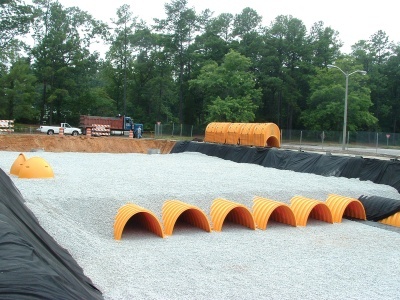 ASTM F2418-16a “Standard Specification for Polypropylene (PP) Corrugated Wall Stormwater Collection Chambers”. 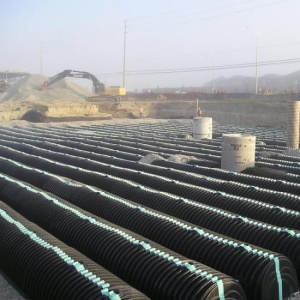 Allowable loads for the chambers must be determined in accordance with ASTM F2787-13 “Standard Practice for Structural Design of Thermoplastic Corrugated Wall Stormwater Collection Chambers”. ASTM C858 - 10e1 "Standard Specification for Underground Precast Concrete Utility Structures". 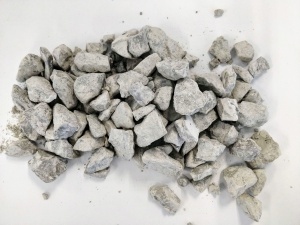 AggregatesA broad category of particulate material used in construction, including sand, gravel, crushed stone, slag, recycled concrete and geosynthetic aggregates, and available in various particulate size gradations. ...or very small as this residential soakawayA pit into which liquids may flow and then percolate slowly into the subsoil.An excavated area lined with geotextile filter cloth and filled with clean granular stone or other void forming material, that receives runoff and allow it to infiltrate into the native soil; can also be referred to as infiltration galleries, French drains, dry wells or soakaway pits./dry well. In our effort to make this guide as functional as possible, we have decided to include proprietary systems and links to manufacturers websites. Inclusion of such links does not constitute endorsement by the Sustainable Technologies Evaluation Program. Lists are ordered alphabetically; link updates are welcomed using the form below.